The new Maserati GranTurismo for sale brings excitement to the Chicago roads. With 454 horsepower and a max speed of 186 mph, you’ll turn heads when you drive this distinctive Maserati GranTurismo model. Coupled with a luxurious and comfortable leather interior, the GranTurismo blends powerful performance and ultimate opulence in this sporty auto. Learn more about the Maserati GranTurismo for sale in Schaumburg at Zeigler Maserati of Schaumburg, and contact us or come down to test drive one for yourself. Gray 2018 Maserati GranTurismo 4.7L V8. We proudly serve Schaumburg, Chicago, Elgin, Hoffman Estates, Crystal Lake and Arlington Heights. We look forward to making your experience at Zeigler Chrysler Dodge Jeep is as easy and enjoyable as driving your new car will be! If you have any questions, don't hesitate to contact us online, or stop by our dealership today! Black 2018 Maserati GranTurismo 4.7L V8. We proudly serve Schaumburg, Chicago, Elgin, Hoffman Estates, Crystal Lake and Arlington Heights. We look forward to making your experience at Zeigler Chrysler Dodge Jeep is as easy and enjoyable as driving your new car will be! If you have any questions, don't hesitate to contact us online, or stop by our dealership today! Red 2018 Maserati GranTurismo 4.7L V8. We proudly serve Schaumburg, Chicago, Elgin, Hoffman Estates, Crystal Lake and Arlington Heights. We look forward to making your experience at Zeigler Chrysler Dodge Jeep is as easy and enjoyable as driving your new car will be! If you have any questions, don't hesitate to contact us online, or stop by our dealership today! White 2018 Maserati GranTurismo 4.7L V8. We proudly serve Schaumburg, Chicago, Elgin, Hoffman Estates, Crystal Lake and Arlington Heights. We look forward to making your experience at Zeigler Chrysler Dodge Jeep is as easy and enjoyable as driving your new car will be! If you have any questions, don't hesitate to contact us online, or stop by our dealership today! The GranTurismo is an elegant model that you can proudly drive to an upscale Schaumburg restaurant. 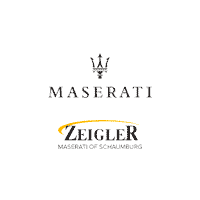 This Maserati offering is ready to be put to the test at Zeigler Maserati of Schaumburg. When you reviewed our inventory online, come down to Schaumburg to step into a Maserati GranTurismo for sale to experience the Maserati difference for yourself. Apply for financing before you come to get one step closer to a new GranTurismo.